Those of you who follow us often know that we love functional gifts! 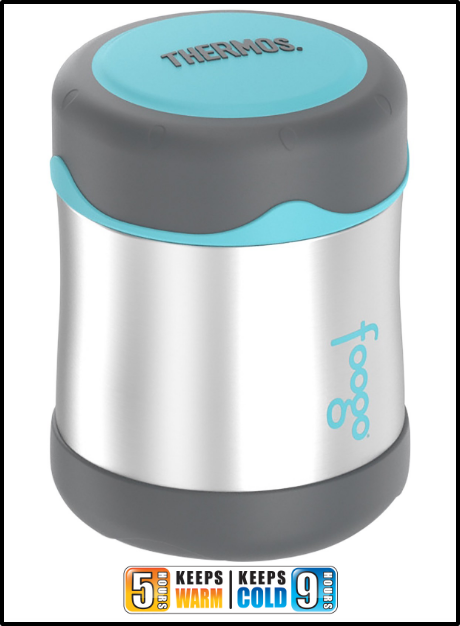 With Valentine's Day around the corner, we've found the Foogo Vacuum Insulated Stainless Steel Food Jar to be the perfect suggestion. Our family is always on the go, which means we're packing lunches every morning. More often than not, these lunches consisted of sandwiches that didn't require refrigeration. With the Foogo Vacuum Insulated Stainless Steel Food Jar, we can step lunch up from a standard sandwich to virtually any hot meal that we want. It makes a fantastic gift this year for loved ones who appreciate practical gifts! This food jar is great for kids and adults alike. It fits well inside most child-size lunch bags and boxes, and holds up to 10 ounces. Your food will stay warm for up to 5 hours or cold for up to 9 hours - plenty of time to get from the kitchen to wherever lunch happens to be that day. We love how easy it is to clean afterward, too! 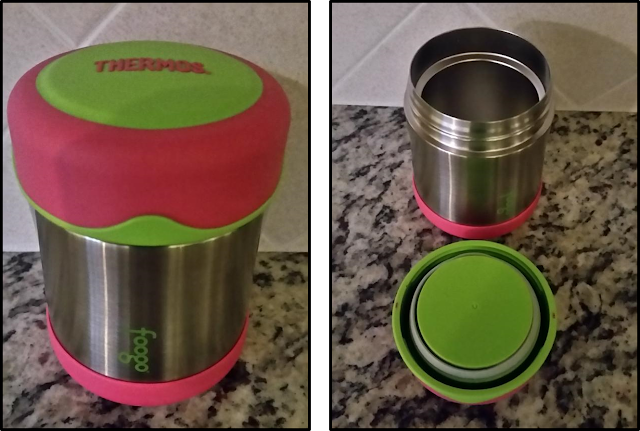 The Foogo Stainless Steel Food Jar can be purchased online from the official Thermos website and Amazon.com, delivered right to your door! Several brick-and-mortar retailers sell it as well, including Wal-mart, Bed Bath & Beyond, and Target. Disclaimer: The product in this post was provided by Thermos. As always, our posts are our own, honest opinions.